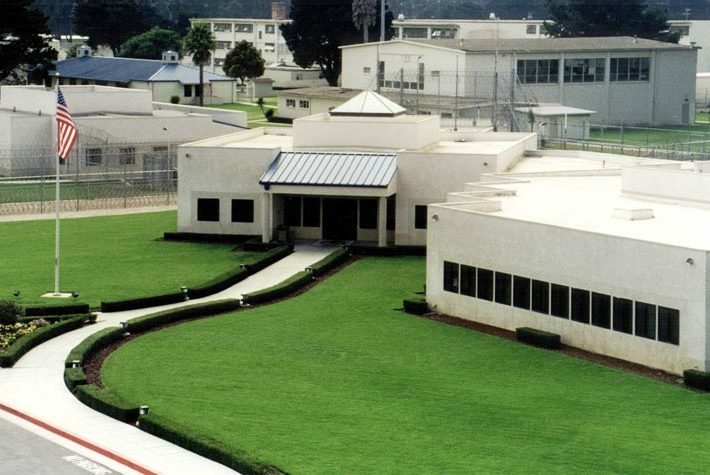 Prison officials say a total of five inmates have walked away from the federal prison camp in Lompoc this year. It is unclear if any of the first three who escaped are still missing. On Sept. 26, Vicente Ramirez Jr., 27, escaped the correctional complex. Authorities described Ramirez as 6 foot 1 inch tall and weighing 270 pounds. He was serving a 15-year sentence for convictions of possession of 5 kilos of cocaine for sales and possession of a firearm. On Friday evening, prison officials determined Hector Medina, 37, was missing after he was not located during a routine inmate count. Medina had been serving a 17-year sentence for drug possession and distribution. Authorities describe Medina as 5 foot 7 inches tall and weighing about 185 pounds. He was last seen wearing a green prison uniform. Residents who live near the Lompoc prison camp said Tuesday that they were not notified about Medina’s disappearance. Jim Stegall, a resident of the nearby Briar Creek neighborhood, said he found out about the escape Monday night via a neighbor. Stegall said there needs to be some sort of warning system to notify neighbors about escapes. The inmate could have walked into the neighborhood and hid in Stegall’s backyard and no one would have known, Stegall said. Prison officials have not released a photo of Medina, despite receiving requests to do so. The FBI, United States Marshals Service and state and local law enforcement agencies are reportedly aware of Medina’s escape. Authorities request that anyone who has information about the whereabouts of Medina or Ramirez contact their local law police department. Certainly meets the criteria to be called a minimum security prison. Same goes for state escapees used too they would start a search right away . There would be a car with two officers patrolling highways 1 101 41 46 Atascadero road and S.l.O. Streets but no more.You are lucky if even makes the news. WSH is different they alert Atascadero and surrounding areas right away. Kudos to the prison media for the amazing decription. Helpful as describing an egg in a henhouse. Nice to see my tax dollars on vacation!! The prison refuses to release photos of the escaped prisoners, yet they ask news agencies to publicize the escapes. I contacted KEYT on the morning it was reported to ask why there is Never a photo to help public safety. The spokesman for KEYT stated that the prison will not explain why and in fact become hostile and evasive when asked. I then contacted Lompoc prison to ask why they dont give a photo of their escapees and sure enough the person on the phone declared we just don’t. I asked why and was hung up on. This should be the real story! Why is the prison refusing to release a photo? Apparently they are unaccountable. I would love to see a News agency investigate not only the frequency of escapes, but why they shield the prisoner and put the public at risk. Any and all prisons have a legal and moral obligation to alert the neighboring community of the escape of a prisoner. Hiding it for three days, then only releasing SCANT information and no photo is placing the public in danger. It is unfathomable that the bureaucrat jail admin allowed this to happen. Any drug dealer serving that long of a sentence places the local community in danger after escaping custody. Lompoc Prison needs to be called to the mat over this, and it’s not the first time they hide info to the neighboring community. That is plain wrong. Mr. Prison Administrator, you are opening yourselves to liability by covering up and not immediately notifying ALL neighbors of such escapes. Shame on you. If you want him caught, and I hope you do, then provide the public with info including his latest photo. God help you if he hurts someone, or steal someone’s car while escaping and we didn’t know about it in the first place because you chose not to alert the public! I am beginning to think that the FCI is trying to coverup a big bureaucratic SNAFU. I suspect that the reason they were so slow in announcing the escape was that they couldn’t actually find a photo of the escapee to publicize. If this is the case, they should be ashamed and someone should be held accountable. That concept of accountability seems to be lost in a lot of institutions these days. Whether it is a police dept. somewhere trying to cover up poor training and supervision of rogue officers, the US State Dept. trying to cover up sloppy email handling or Wall Street protecting its big players from the consequences of their reckless gambling, it shows a cultural problem that needs to be corrected. “Prison officials say a total of five inmates have walked away from the federal prison camp in Lompoc this year. It is unclear if any of the first three who escaped are still missing”, is that the prison officials saying they are now sure any of the first three are still missing? I sure hope not, if so I’m thinking we need some new prison officials.